Headstones come to us in standard shapes and sizes where our long-standing, fully-trained staff of ‘Sculptors’ using high quality materials inscribe the headstone design to each family’s specifications. All headstones are designed and crafted in our own workshops. Meetings can be arranged to view the preliminary design for your approval before sculpting. For Inscriptions - We have over 200 Font Styles to choose from for inscribing the ‘personal’ phrasing to honour your loved one. 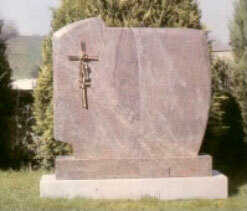 For Etching - Unique images can be etched into the headstone to define and honour a special quality about the deceased. 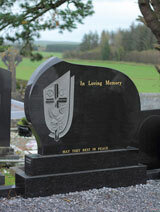 Pat O’Sullivan & Sons provides 5 to 6 design samples of Font Style and Word Phrase options for the family to choose from when designing the headstone. Headstones are erected with either single or double base and kerbing placed around the grave plot where permitted. Traditionally all works are completed by the 1st year anniversary, but can be set any time required. We would advise a 3-month notice to allow for scheduling. There is a 4-foot height restriction in most Cork Co. Council and City cemeteries where paperwork is required. Pat O’Sullivan & Sons will obtain the planning permission necessary. 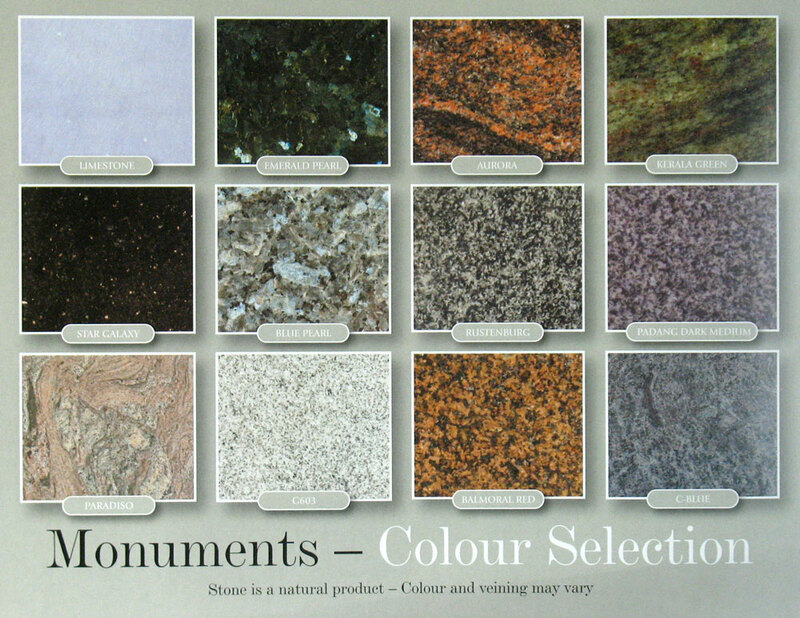 Headstones come in all shapes and sizes and are either limestone or granite and come in a variety of colours. Limestone requires some cleaning and maintenance after a few years which we are happy to provide whereas granite remains clean with no upkeep or maintenance. Typically we use standard headstones, with unique phrasing for inscriptions and add a personalised touch with specific image etching appropriate to honour the life of their loved one. We also specialise in Plinth, Cladding and Corner Post grave plot surroundings where permitted. 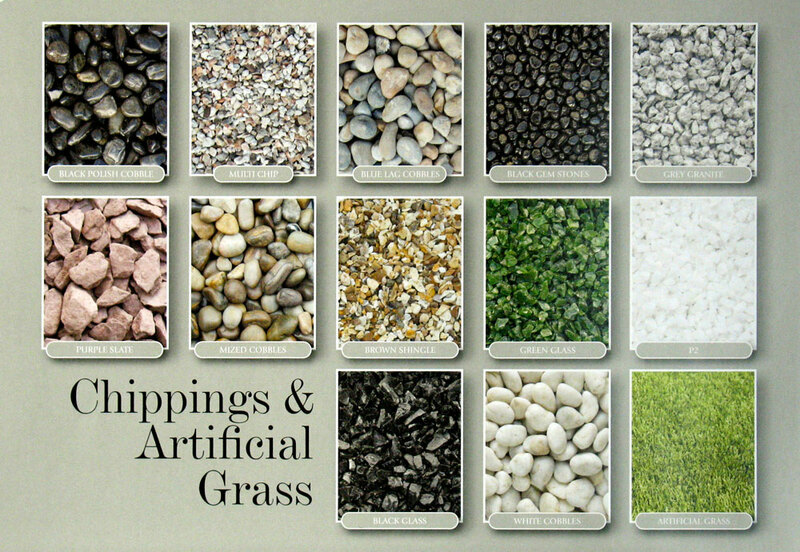 Chipping Styles and stone colours.